Dr. H. E. Logue, a renowned psychiatrist with thirty-four years of experience treating individuals with Bipolar Disorder, and his colleagues have an extraordinary offer for you! Buy this book and you will experience the inner turmoil of those with Bipolar Disorder while also learning the truth about an often misunderstood illness. For today only, you will immediately receive access to a staggering assortment of bonus gifts by purchasing a copy of Fly Me to the Moon: Bipolar Journey Through Mania and Depression! WANT TO SEE THE GIFTS YOU WILL RECEIVE? 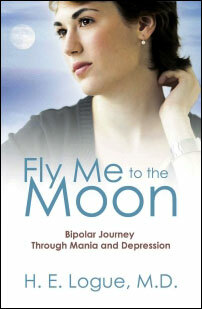 "Fly Me to the Moon: Bipolar Journey through Mania and Depression fills a niche in the mental health industry throughout the U.S. and elsewhere. The storyline captivated me to read it in two sittings, however it is thoughtfully segmented to meet any reader’s pace. This book is deeply engaging while never sacrificing medical/psychiatric authenticity in the service of character development. Instead, it constitutes a most compelling and immersive way for anyone to learn about Bipolar Disorder." Order Fly Me to the Moon during the next 24 hours and you will receive bonus gifts of extraordinary value! 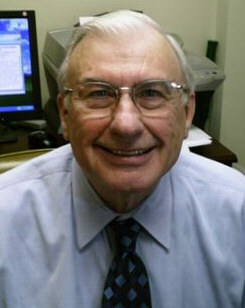 Dr. H. E. Logue - You can listen "online" to an audio by Dr. Logue on Bipolar Disorder. HOW CAN YOU GET ALL OF THESE BONUS GIFTS TODAY? Easy – just order one copy of Dr. Logue's book. Go to Amazon.com and order your copy of Fly Me to the Moon. When we receive your email with your Amazon order confirmation, we will reply with an email containing instructions for getting your bonus gifts. These instructions will be simple. Please watch for this email. “I really liked the book. I thought it told the Bipolar story in a believable, educational manner. I enjoyed it." - Kay McLean, R.N., B.S.N. "This book is WONDERFUL! I am a Home Helath Care Psych RN and I teach patients about their illness, monitor treatment compliance, behavior, family responses, etc. With this book, I have a new teaching tool that these patients will be able to relate to. This book actually integrates real behaviors and facts with a fictional character. It is a book that lets the patients know that "they are not alone." It gives great insight and hope. I highly recommend this book to all in the mental health profession and to patients with Bipolar Disorder and their families." "Even if you have not known someone with this disorder, you would enjoy this book. It is well written, recalls an earlier time, is a fast read and exciting. If you have known someone with this disorder, you will gain understanding into it's nuances and compassion for advocacy." For the miniscule investment of just $14.35, you will receive Fly Me to the Moon and all of the generous bonus gifts mentioned above. Right now is the opportunity! Get your copy of Fly Me to the Moon, and then come back for the gifts we have prepared for you. The bonus gifts of this promotion are not in any way associated with, nor deliverable by, any of the online bookstores (i.e. BarnesandNoble.com or Amazon.com). Please also be aware that the bonus gifts offered with this promotion are generally downloadable, delivered electronically, over the internet, via email, or over the telephone and are not physical products shipped to you, except for free CDs or DVDs, which are the only things which may require you pay for shipping with your credit card in order to obtain them.